May 29th from 7 to 9 p.m.
At this lively Premiere Opening of the Mitchell Gallery's first national juried exhibition, guests have the first opportunity to purchase the original works of art on display at the exhibit, which features a wide array of 2- and 3-dimensional pieces. All proceeds benefit the educational programs of the Gallery. You are invited to get more details, view the online sales gallery, and visit our facebook page for more information. If you would like to become a member of the Mitchell Gallery, please go to our membership form. If you have any questions or difficulties with this form, please contact Molly Burnett at (410)626-2881 or molly.burnett@sjca.edu. Please make your selection(s) below. We will ask for more information about the attendees on the following page. 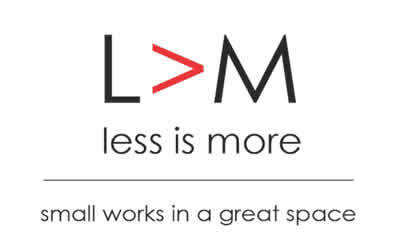 May 29th 7 to 9:00 p.m.
0 1 2 3 4 Less is More Preview Reception Admission Attendees: 1 $ 75.00 ea.